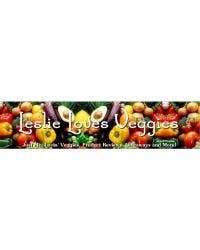 Leslie Loves Veggies AND Therapon! Leslie over at “Leslie Loves Veggies” loved the Theraderm Skin Renewal System so much – she is giving one away! Read the glowing review she wrote and then head on over there to see what you need to do to enter! With a retail value of $137.50 – it is well worth the effort! Good luck! The skin plays a major role in how we are perceived by others. For skin to appear youthful and radiant, it must first be healthy. Aging and environmental factors cause skin to become damaged, resulting in both visible and functional skin defects. Therapon® Skin Health understands this fact as well as the mechanics causing skin damage. Most damage is reversible if skin health is restored. Therapon is dedicated to creating products that effectively restore skin health, thereby producing a radiant, more youthful appearance. I am celebrating a huge birthday today and I started to think about my skin. I take very good care of my skin, and have since I was about 20 or so. I’m not a sun worshiper, don’t wear cosmetics to bed and always wear sunscreen. Still, age and environment have taken their toll on my skin like every single woman out there. I’m always on the lookout for that line of products that’s easy to use, works incredibly well and is affordable! I’m so happy I found Therapon® Skin Health. I was Blessed to receive a Theraderm Skin Renewal System with Enriched Moisturizer and Eternox Wrinkle Reduction System for review. Shhhh…. My 50th birthday is today and although I love love love being a Gramma, I don’t want to look like one. My best friend’s mom always says I have beautiful skin! I’m flattered! I am going to do everything I can to keep it that way! However, I want a skincare line that is affordable, readily available, is super effective and oh.. is easy to use! I remove my makeup from my weary, bleary-eyed face about 11:30 or 12 at night. If a skincare line takes 15 minutes to use, It will sit unused on my bathroom vanity, no matter how great it is. Cleansing Wash -This mild gel cleanser is soap-free and ultra mild. It gently loosens and cleanses the skin of debris, oils and cellular debris without drying the skin. The gentle cleansing action of Theraderm® Cleansing Wash purifies and refreshes even the most sensitive of skin, making it the choice for all complexion types. To use just combine one pump with water in your hands and work into a light foam. Apply to face in a circular motion then rinse and pat dry. My skin is so sensitive and Cleansing Wash left my skin clean, fresh and soft with no irritation. Fruit Acid Exfoliant - This is so easy to use! Just squeeze 10 drops or so onto a Gentle Action Application Pad, (included) and apply to face and neck. No rinsing required. Fruit Acid Exfoliant gently and naturally exfoliates dry, outer-skin layers, which stimulates natural growth of new skin cells. This is so mild, gentle yet effective I am using it twice a day! It leaves my skin pretty, soft and is uncovering fresh, new, radiant skin! OPC Reparative Gel is the third step in the Theraderm Skin Renewal System. I always apply a moisturizer after cleansing my skin. I’ve come to think of it as a ‘hand lotion for my face’. I know that sounds odd, but I apply lotion to my hands numerous times daily to keep them hydrated because I can see them all day. My face? I don’t see it, but others do! Ha! So I realized, I must must must remember to put on my moisturizer. That’s my vital facial hydration. That being said, I never gave much thought to an actual repair product until recently. We all know that antioxidants serve to protect the skin. Botanical Proanthocyanadins (OPCs), one of the active ingredients in OPC Repetitive Gel decreases inflammation while protecting and repairing skin collagen and elastin. This potent antioxidant is 20x more effective than Vitamin C and 50x more effective than Vitamin E. This gel is very gentle and I love that it can be used over my whole face and neck including eyelids. Do not rinse. Choice of: Enriched Facial Moisturizer or Gentle Facial Moisturizer. Yup I went for the Enriched Moisturizer, but I think it’s fabulous that Therapon offers the choice. While you can apply Enriched Facial Moisturizer twice daily, go by how your skin feels! During the summer I find my skin is less dry than during the winter. The Enriched Facial Moisturizer is a richer cream than I am used to using and I find that if I use it at night I am able to skip a day or two here and there. This luxurious crème contains superfine-grade lanolin and dimethicone to naturally restore softness and suppleness by penetrating the deepest layers of the skin. Developed for dry or mature skin, this formulation replenishes the skin’s moisture levels and restores the lipid barrier to create dewy, youthful-looking skin. Gentle Action Application Pads – Use with Fruit Acid Exfoliant. These pads are made of a special combination of fibers which allow for a thorough application of your products. The texture of each pad allows the Fruit Acid Exfoliant to penetrate deeper into the skin’s surface while providing a slight mechanical exfoliation. 100 pads are included. If you are looking for serious skincare that will work to reduce moderate lines and wrinkles, you need to try the Eternox Wrinkle Reduction System in conjunction with the Theraderm Skin Renewal System. Both systems can be used alone. However I noticed, when I used the two systems in combination beautiful things really began to happen for my skin! The exclusive combination of peptides, natural antioxidants and micronutrients penetrates deep into the skin layers to facilitate collagen production at the dermal level, firming and plumping aging skin. Clinical studies have shown that when the Eternox Wrinkle Reduction System is used, the result is up to a 40% reduction in wrinkles in 12 weeks. A luminous, more youthful appearance is 2 simple steps away. Here’s what’cha do! Morning and night, use the Eternox Peptide Repair Crème after applying your OPC Reparative Gel. This light, airy creme sinks right in and contains an exclusive combination of peptides that facilitates collagen production to diminish the appearance of moderate wrinkles and deep lines. You’ll notice up to a 40% reduction in the appearance of wrinkles in 12 weeks. I noticed my skin was more luminous and even after just a few days. The tone was much improved and I was even able to go much lighter with my foundation application! Once a week prior to to cleansing my face I am using the Eternox Exfoliating Gel, which is the second product in the Eternox Wrinkle Reduction System. Don’t be fooled by the small size of this tube, you only need a dime size amount to do your whole face. This gel exfoliates with enzyme action instead of abrasives. The formula is infused with wrinkle-reducing peptide and essential vitamins and minerals that are able to penetrate the skin and work their magic to reveal baby soft, fresh skin. To use, just apply a dime-sized drop in a thin layer to clean, dry skin. Wait 60 seconds and rub area in a circular motion until dead skin cells begin to bead. Rinse and pat dry. Can be used up to three times weekly. Three minutes, tops and I am seeing a visible results! Therapon Skin Health Products are simply fabulous! Be sure to visit Therapon Skin Health and check out all their wonderful products which are available in kits and can also be purchased individually.